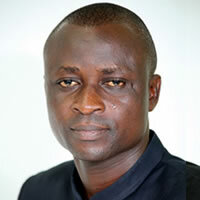 The Member of Parliament (MP) for Jomoro, Mr. Paul Essien has appealed for three Nation Builders Corps (NaBCO) teachers to be posted to the Nzulezo Basic School as well as nurses for the community health facility. He said Nzulezo, a famous tourist destination, lacks basic social amenities and the human resource to impact knowledge and nurture the children. This came to light when Mr. Essien visited the town to address the chief and people of Nzulezo, as part of a familiarization tour of some communities in the Jomoro constituency, including Tweako No.1, Navorongo, Kojo Liberia Village 2, Nuba, Tikobo No.1 Bonyere and Nzulezo. Mr. Essien, who is also the Deputy Minister of Chieftaincy and Religious Affairs, advised parents to send their children to school and invest in their education and also appealed to the children to take their education seriously. The MP donated street lights as well as some bags of rice, cooking oil and assorted soft drinks to the community. Mr. Essien also donated six knapsack spraying machines, worth GHc15,000.00, to cocoa farmers as part of his pledge to support farming activities with logistics and to improve their farming activities and standard of living. He said government’s planting for food and jobs initiative and the re-introduction of the pollination and gang spraying programme was creating employment for the youth, adding that, it would further boost farming in the area. Mr. Essien pledged to construct a CHPS compound and donated 50 bags of cement to be used for the foundation. He asked the farmers to rally behind the government as it continued to improve their living standards.